The blog post below is written by AI Policy and Social Impacts Director at GoodAI, Marek Havrda. 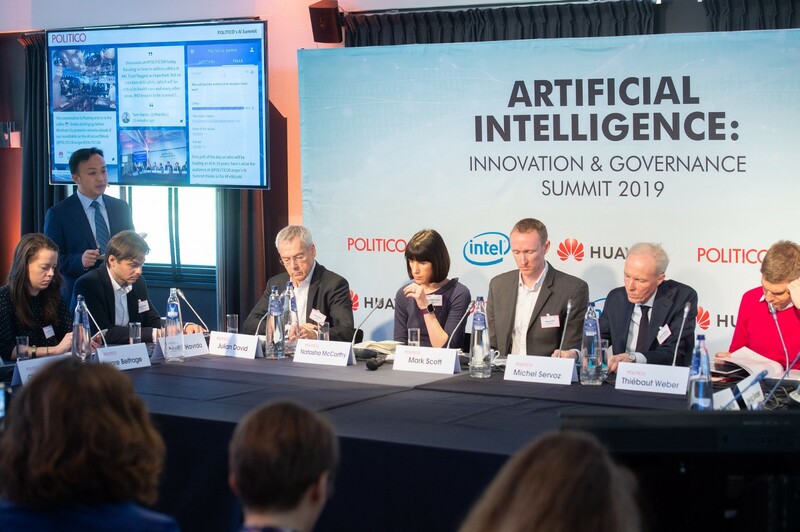 It was an honor to attend the POLITICO AI Summit again this year where I took part in the Future of Work strategic roundtable and co-chaired the working group on AI Ethics. At the summit, there seemed to be a general agreement that new technology developments based on artificial intelligence will bring about profound changes in the labor markets. These changes were welcomed in particular in terms of productivity and overall competitiveness. However, they could exacerbate the negative impacts, and in particular social impacts, of the economic cycle if not managed correctly. For example, in the future, some jobs and professions might not be re-created after the next recession even when we return to an economic boom as it will be more rational to automate them. These changes may significantly, for the first time, impact white collar workers. As Daniel Khaneman, a Nobel prize winner for economics, mentioned at the World Government Summit this February, given the same input machines will make consistently better decisions than humans. Humans may outperform machines only in cases where they have a bit of information which is not available to the machine. But, even today current algorithms are able to process millions of pieces of information, extremely fast, which is far beyond human potential. So at least in well-defined domains, the machines are poised to take over. What could be done at the European level? A number of suggestions were approached on how AI can actually be used to help manage these changes at the European Level. AI could be used to provide a framework to assess potential impacts on various sectors, types of professions, the geographic distribution of impacts, etc. The framework may include various scenario building elements which would help shed light on future developments. In particular, various multi-agent models may be highly useful. Understanding the impact at this level is crucial in order to be able to try to prevent the development of new Rust (white collar) Belts. AI enables us to create a new generation of online courses which are already today provided by start-ups such as cerego.com or century.tech. These approaches allow the creation of personal AI tutors which may increase the efficiency of any retraining. In the future, there are likely to be many jobs created in the care industry, but sustainability and circular economy should be among those which are to also develop. For all these jobs new skills will be needed. Retraining programmes are thus needed to help develop both, technical competencies to augment the capabilities of the workforce by new technologies and skills which are not easily transferable to the machines, such as socio-emotional human skills. AI can help figure out the potential of single individuals. Today various commercial platforms “understand,” our behavior often better than we do ourselves due to various biases humans are prone to. In a positive scenario, AI could be deployed to help each citizen to identify their strengths and growth potential in order to help navigate better in re-qualification process. Having access to data that companies have collected on you and using this data for positive outcomes could have huge potential. Another important suggestion was to make sure that people have at least a “cartoon understanding” of AI, its mechanisms, and its limitations. This could be done through mass public awareness campaigns and efforts to educate the general public. 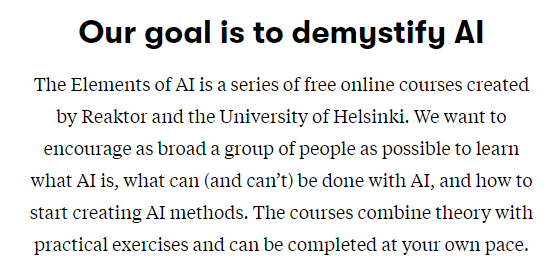 Representatives of The Finnish Elements of AI were present, their “goal is to demystify AI,” and “encourage as broad a group of people as possible to learn what AI is, what can (and can’t) be done with AI, and how to start creating AI methods.” This initiative is an excellent starting point for increasing people’s general awareness of AI. It would come to the forefront in transitioning into an AI society and have significant positive impacts on European countries and people.